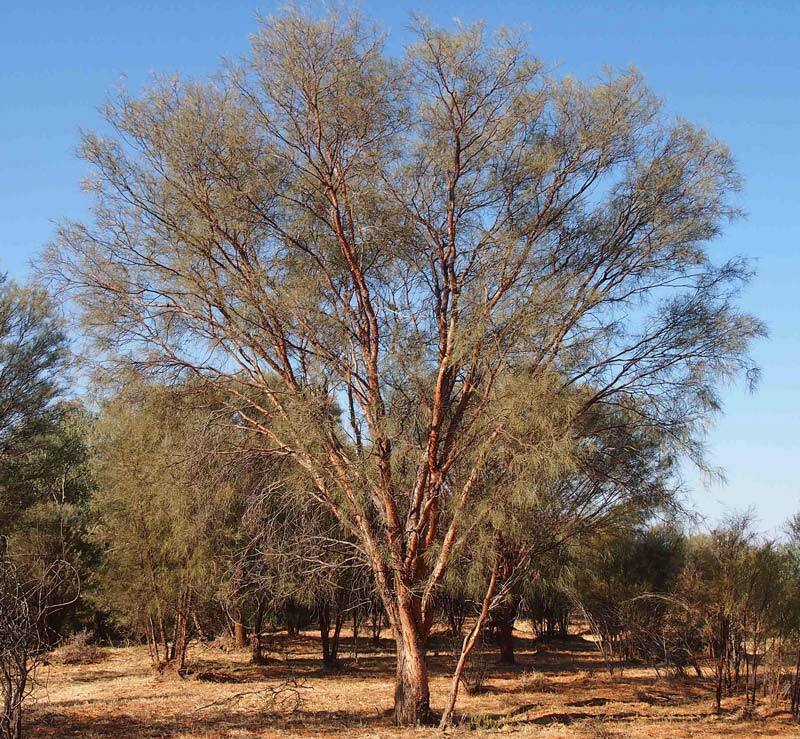 Acacia cyperophylla or the Red Mulga is a medium sized tree that grows well along banks of rivers and creeks. 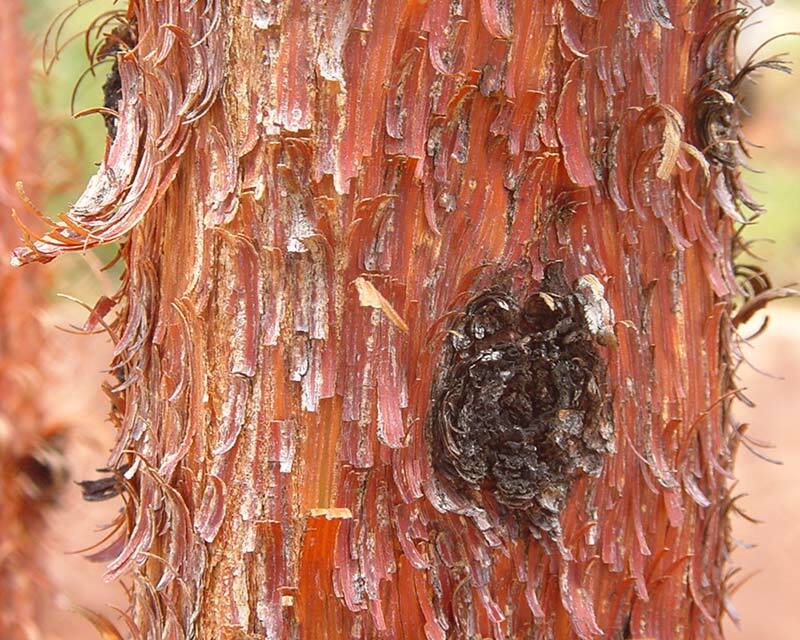 It can be multi-trunked and the reddish bark peels off in small curly flakes gives the truck a soft appearance. As with most Acacia native to arid and semi arid they have modified leaves - phyllodes. The fluffy mimosa-like flowers are born on cylindrical spikes make a showy display in late autumn or late spring. This species is more suited to park and farmlands. Soil: Grows in well drained most soils. Prefers arid conditions and tends to flower after good rains.